I'm not saying this was a bad movie, per-say, but, it just wasn't quite what I was expecting. The scenes from the 60's were great. Paul Dano should have been nominated for an Oscar for his portrayal of a young Brian Wilson. The scenes showing the making of Pet Sounds was fascinating. But, the John Cusack scenes kind of go off the rails. It's not that Cusack is bad, he's not, in fact he's rather good, but I just couldn't help but "see" "John Cusack" and not "Brian Wilson." It's the same fate that both Joaquin Phoenix and especially Reese Witherspoon had with Walk the Line (2005), they were two beautiful people who just couldn't shake who they were and "become" the character that they were suppose to play. Jamie Foxx in Ray, on the other hand, nailed it, I "saw" Ray Charles on the screen, not Foxx. Ray was also, just a better film. The film is a sad, but, Brian does indeed find his Love & Mercy later in life. 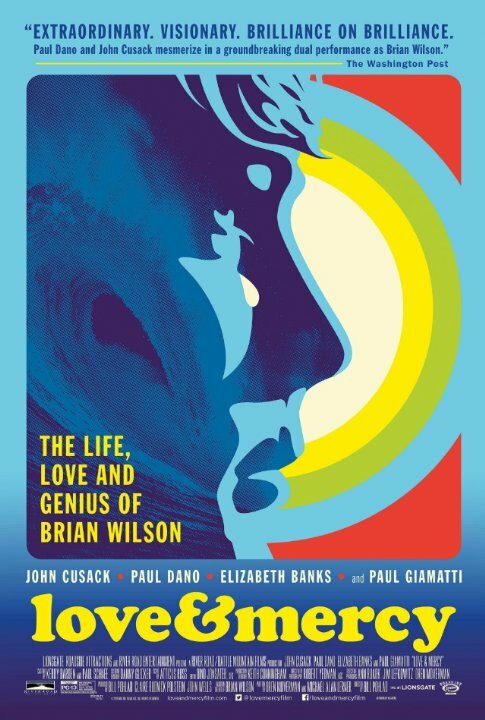 I do recommend this film to all, especially those who love the Beach Boys and Brian Wilson. BTW, if you have a chance to see Brian Wilson on the 50th Anniversary Pet Sounds Tour, do, it's a great show, Brian doesn't do much but sit at his piano, but to hear those compositions live is awesome.